It works very well with classical music, pop, jazz, pop and rock. We recommend its amplification to give a full performance to its rich sound. Update ► For 2019, the Ramirez 2N CWE model has been renamed to the Ramirez Cut 1 Classical Guitar – Cutaway. The interior bracing, woods and tonal voice remains unchanged. The Ramirez Cut 1 classical guitar features a cutaway body with a solid Red Cedar or German Spruce top. The back and sides are of laminated Indian Rosewood to reduce feedback and to enhance stability in the sometimes environmentally chaotic world of the working guitarist. As with other Ramírez guitars, the neck is Spanish Cedar and the fingerboard is Ebony, with an Indian Rosewood bridge. The finish is a gloss lacquer. As a Cut 1 – Cutaway with electronics – there’s typically a pickup system installed, with controls on the upper bass side. The electronics are by Fishman or Schertler. 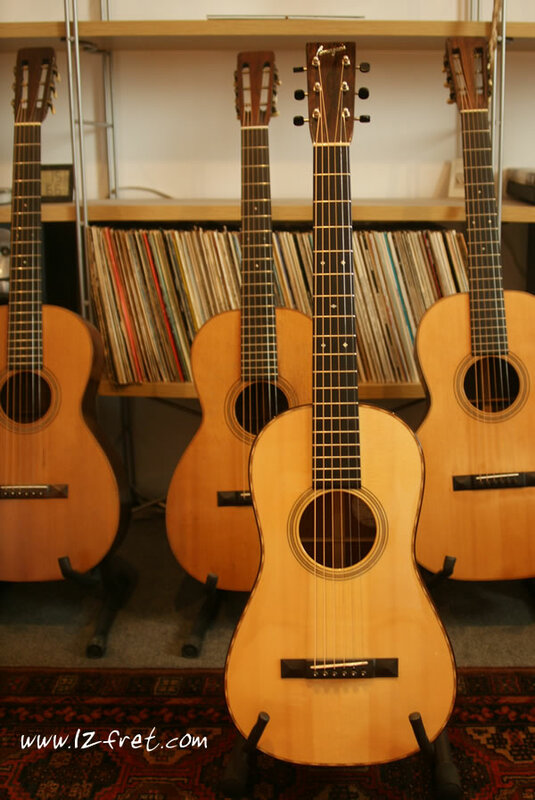 While the Ramirez Cut 1 Classical Guitar has a full 650mm scale length, the nut is slightly narrower at 50mm than a concert classical’s 52mm width. Well balanced guitar, comfortable and with a bright sound, it has quite varied and defined voices. Rich in overtones. It has trebles with a high sustain ideal to create melodies. It works very well with classical music, pop, jazz, pop and rock. We recommend its amplification to give a full performance to its rich sound.